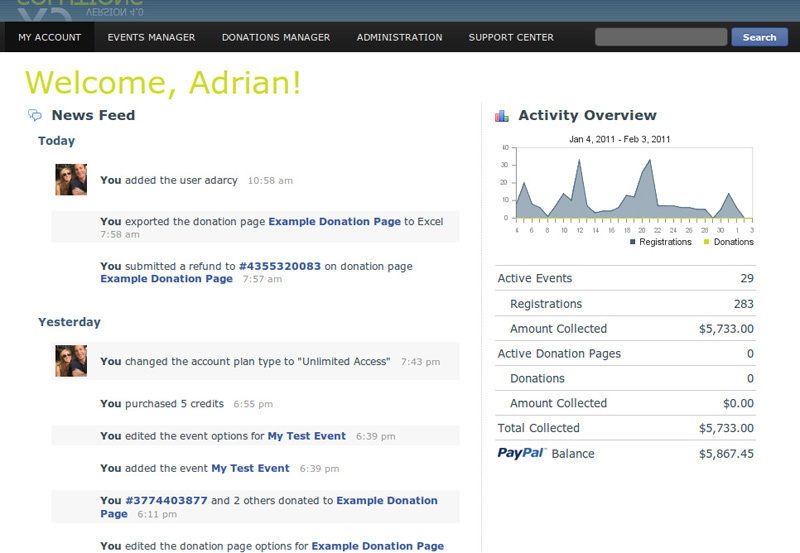 The News Feed provides you with an instant overview of activity and statistics so you can easily see who has registered for events and donated money. 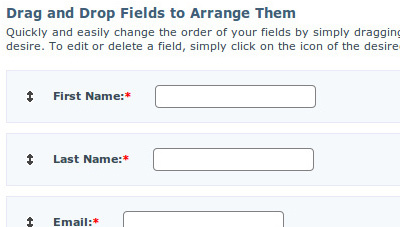 With a broad range of optional features, you can be sure to customize your event and donation pages exactly as you see fit. 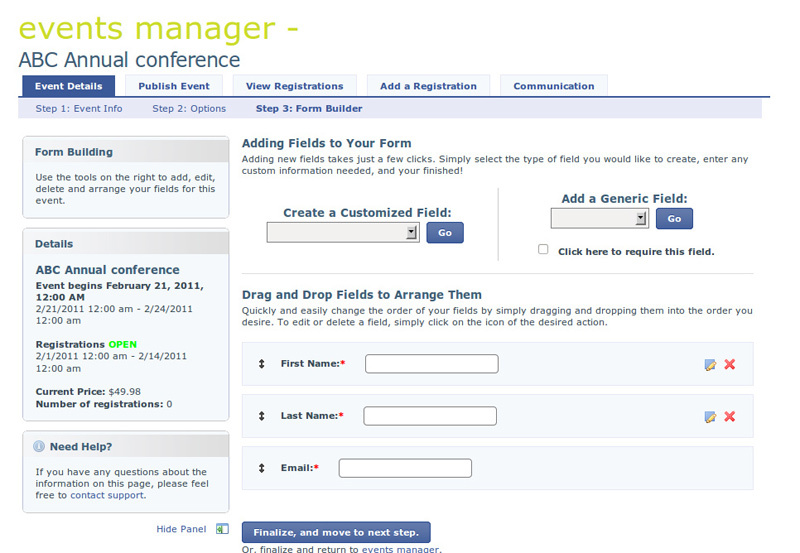 Gather exactly the data you need from your registrants and donators using our custom form builder. Use our style generator to fully customize your event and donation pages to match the look of your current website and branding. Regardless of the payment plan you choose, there is no limit to the number of registrations and donations you can accept! 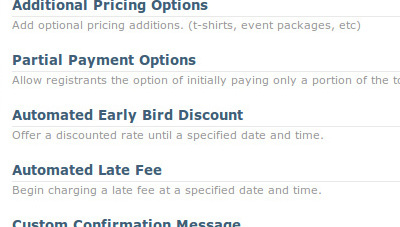 Automatically change event costs for early bird and late fees depending on the date. 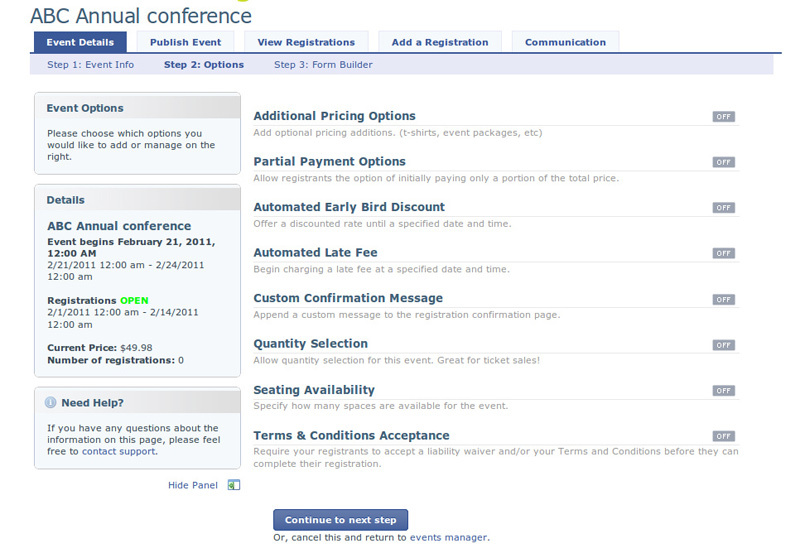 Specify how many spaces are available for an event and how many can be purchased at any one time. Do you take a percentage of each payment? Can I change between the unlimited access and pay-with-credits plans? 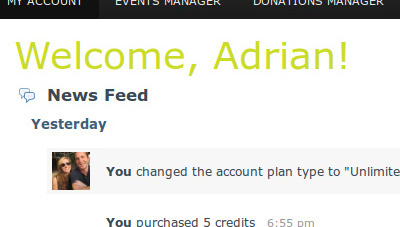 Yes, you can always add to and change your plan type using the Accounts Settings manager of the system. Can I access my account after it expires? Of course. 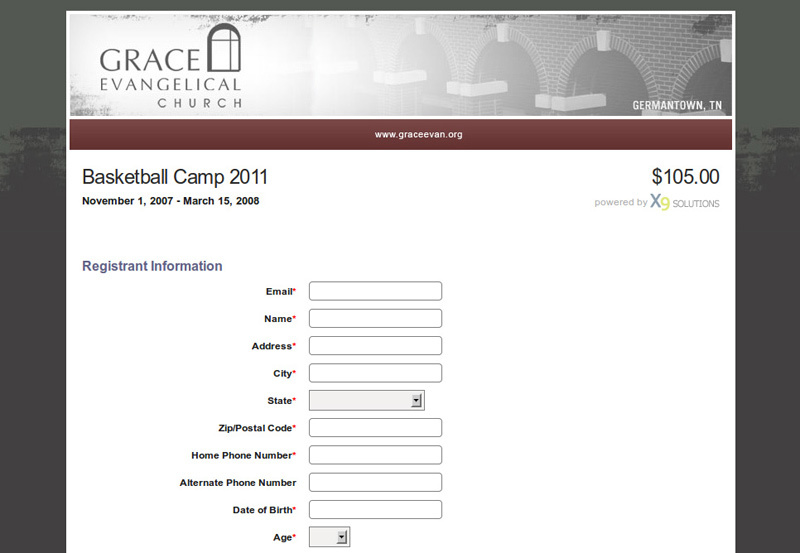 We allow you to still access all of your registration and donation information even after your subscription expires. 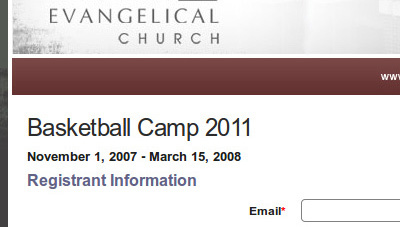 You just won't be able to receive any more payments (and you can always create free events!). Yes! If you are not completely satisfied with our services, contact us and we will give you a full refund. 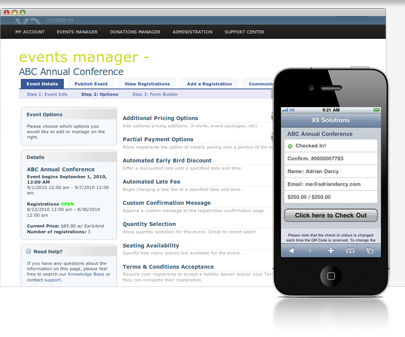 Using your web-enabled mobile device, you can scan your attendees' tickets to mark them as "checked-in" to the event. Sign up for our newsletter. Be the first to hear about new features, promotional freebies, discounts, and more. © 2019 X9 Solutions. All Rights Reserved.